The 2019 Acura MDX interior offers Kyle families a three-row SUV with plenty of space and a bevy of luxury features. Enjoy standard features like smartphone integration and premium seating, or customize your MDX interior with a Technology or Advance Package. Learn more about this popular Acura interior below! The Acura MDX delivers three-rows of seating with options to customize your vehicle to your needs. Enjoy a standard second-row of bench seating to accommodate a total of seven, or pick a higher trim to enjoy second-row captain’s chairs and total seating for six. The Acura MDX also offers 15.8 to 90.4 cubic feet of cargo space. A-Spec® Package: Marvel at an ebony headliner, metal trim, sport seats with perforated premium leather, and Alcantara®-trimmed heated/ventilated front seats. Advance Package (requires Technology Package): Enjoy the warmth of a heated steering wheel, heated second-row captain’s chairs, heated/ventilated front seats, and natural wood accents. Entertainment Package (combined with Technology Package): Keep everyone entertained with an 11-speaker surround-sound system, 9-inch full VGA screen, two sets wireless headphones, a removable ceiling-mounted remote control, and more. Entertainment Package (combined with Advance Package): Builds on the technology Technology Package features with a 16.2-inch ultra-wide full VGA screen with split-screen capability and a 12-speaker surround-sound system. Step into an Acura Interior at Sterling Acura of Austin. Tour the new 2019 Acura MDX and then experience it’s true performance capabilities with a test drive at Sterling Acura of Austin. You can also see the new interior features that come with the popular 2019 Acura TLX. Ready to make the MDX your next family SUV? Apply for financing online and we can discuss your options once you arrive! What are the 2019 Acura MDX Packages? When your vehicle needs routine maintenance or automotive repairs, you want to take it to a service center you can trust. You have the option of a corner garage or a dealership service department. 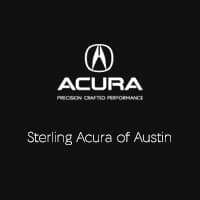 The Sterling Acura of Austin service center is your top choice for quality automotive service for your Acura vehicle or vehicle from another brand….